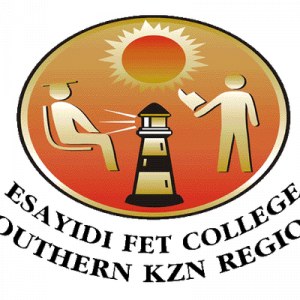 Esayidi FET (Further Education & Training) College is a merged college in its 9th year and operates under the KZN Department of Education, with several campuses in the Southern KwaZulu Natal Region. At present there are five campuses and five community development centres. Our aim is to satisfy the recruitment needs of local business and industry by providing a high standard of relevant tuition and training. Esayidi FET (Further Education & Training) College is a merged college in its 9th year and operates under the KZN Department of Education, with several campuses in the Southern KwaZulu Natal Region. At present there are five campuses and five community development centres. Our aim is to satisfy the recruitment needs of local business and industry by providing a high standard of relevant tuition and training. It is our vision that we become an institution of excellence, by empowering individuals through Community needs-driven programmes that are accessible, equity based and with Life Long Learning opportunities. To be the main provider of relevant, quality and affordable FET education in a healthy and safe environment.